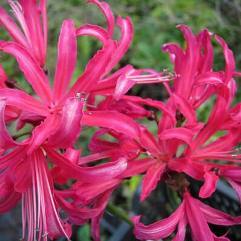 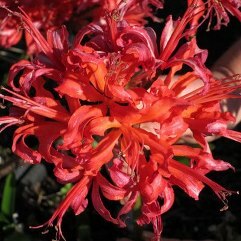 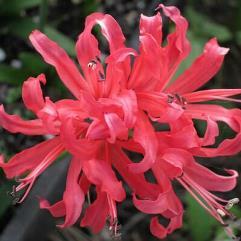 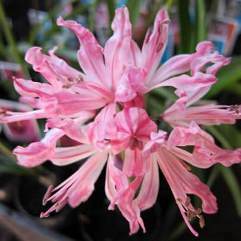 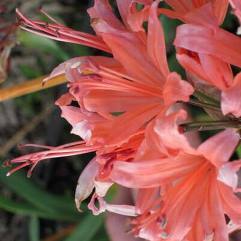 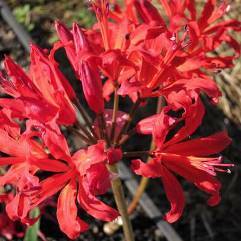 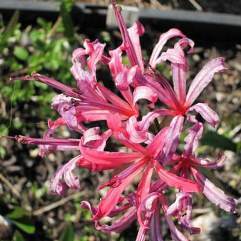 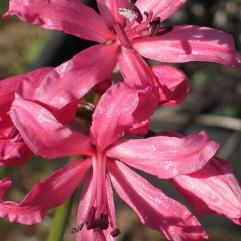 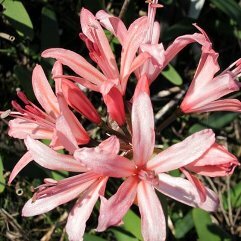 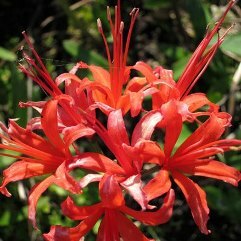 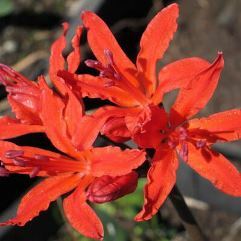 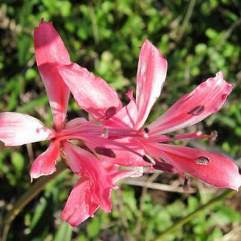 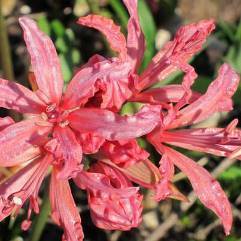 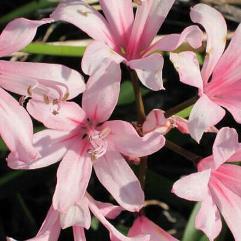 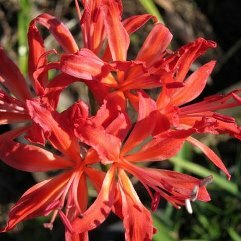 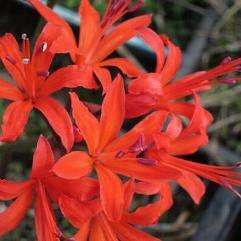 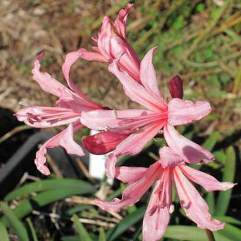 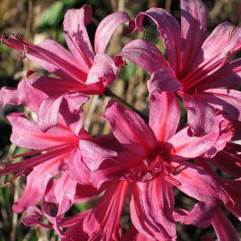 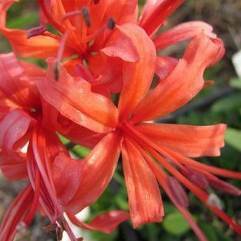 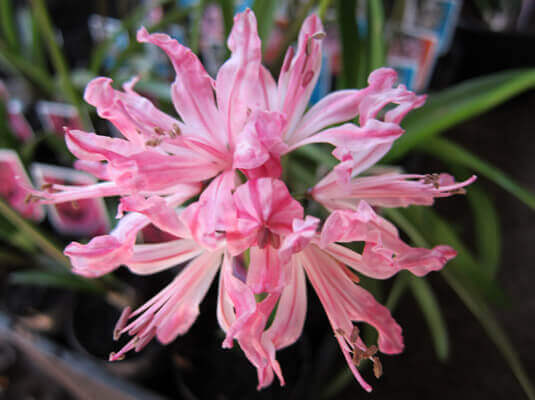 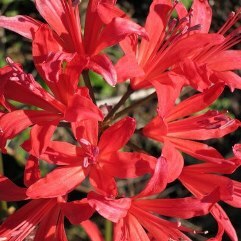 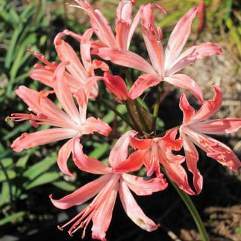 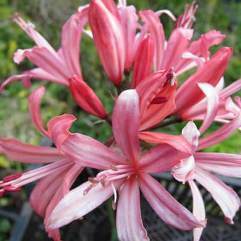 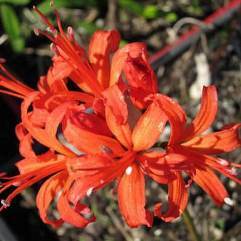 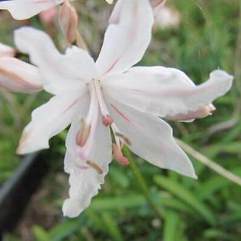 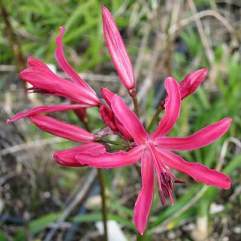 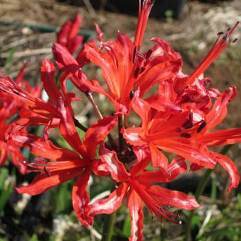 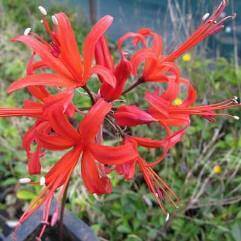 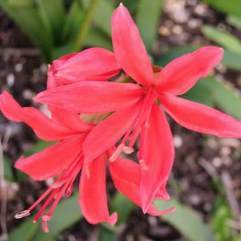 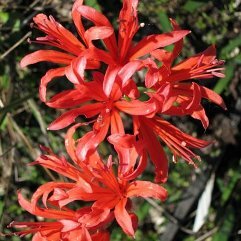 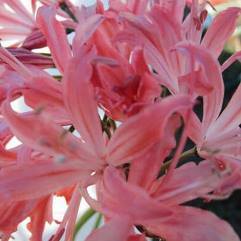 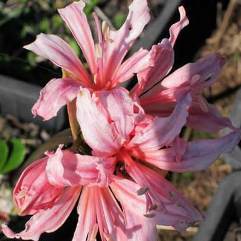 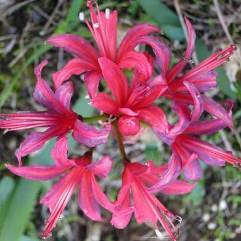 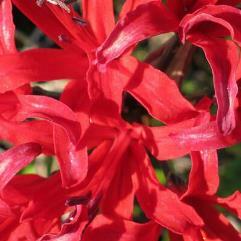 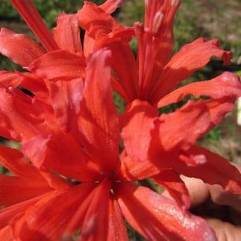 Nerines are bulbus plants. 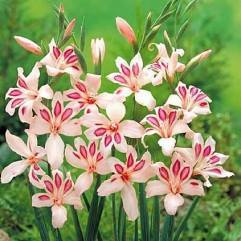 Each bulb is between 3 - 5cm in diameter depending on variety. 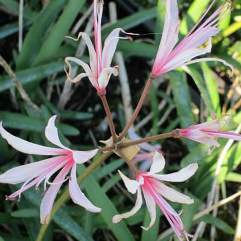 In Winter, the plant produces 4 - 6 strap-shaped leaves about 20cm long and 1cm wide. 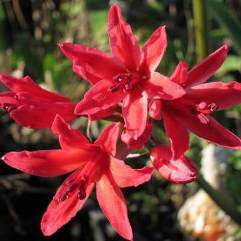 These leaves die down in late Spring and the bulb lies dormant throughout the Summer. 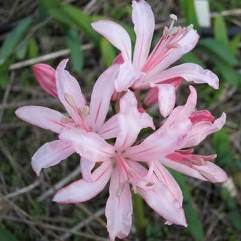 Flowers start to appear in late February and continue till June, depending on variety. 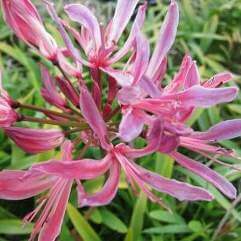 (European seasons are different). 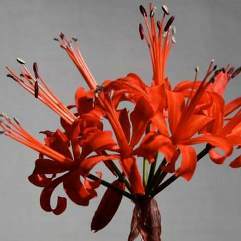 Each flower stem can be from 20cm to 50cm in length with flower heads from 3 - 25 individual florets, 2cm - 5cm in diameter. 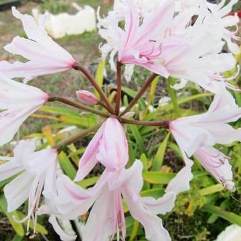 The plant has similar growing characteristics to the Belladonna Lily and is similar to Lycorus. 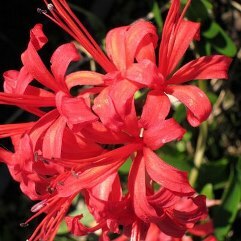 Our collection has been sourced from nurseries and breeders throughout the world and includes our purchase of the Norman Collins Collection from Bendigo, Australia. 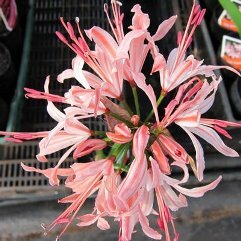 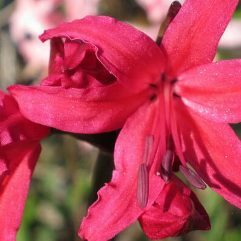 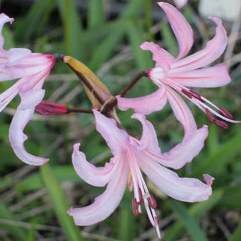 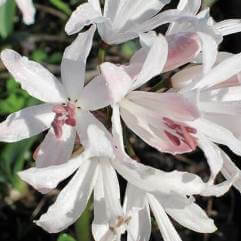 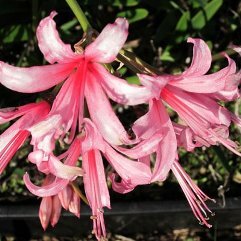 Norman Collins has been breeding and collecting Nerines for over 40 years and the collection, we believe, had 375 varieties when we purchased it. 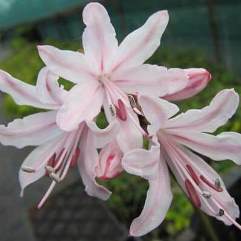 This year we are releasing 60 of these varieties, which are now bulked up enough to allow sales. 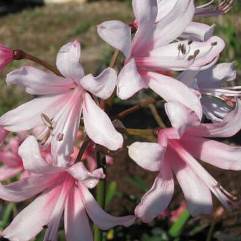 Some of the varieties have less than 5 bulbs, so bulking up is a major part of our work. 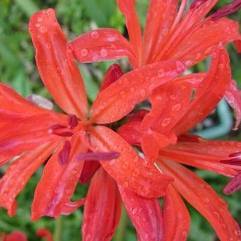 We will release more as soon as the numbers are bulked up on more varieties.